BLACK EZ RESPONDS TO CRITICS ON POLITICAL AMBITION + RAISES EYEBROWS ON MASS COMPAS' NEW SINGLE + MORE HMI NEWS! *BLACK EZ RESPONDS TO CRITICS DEMANDING POLITICAL AMBITION! *GRACIA/FRERO MASS COMPAS single puzzle from the eyes of BLACK EZ! 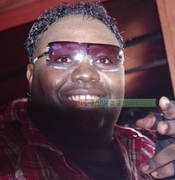 *DABENZ REVEALS OXYGEN BOSTON REPRESENTATIVE!